The investigation is on for this high concept mystery. Feedback about Cult has been mixed at best. Some have stated it's a story that could intrigue viewers with its many twists and turns while others have classified it as a confusing mess. I'm an open minded person and the trailers did interest me enough to watch the pilot early online. So far the show has interested me to catch a few more episodes and see where this mystery is heading. A "show-within-a-show" concept can be confusing at times to describe so I promise I'll try to be clear. This week on Cult, former big time news reporter Jeff (played by Matthew Davis) is searching for his missing brother when Cult television researcher Skye (Jessica Lucas) helps to lead him deeper into the secret world of the show's obsessive fans. The police immediately don't believe Jeff and his story. Their theory: Nate has been using again and this was just another drug deal gone wrong. Jeff ignores their hesitation and searches for his missing brother on his own. I'm still confused at this but... Jeff watches five minutes of Cult and believes that the show (yes, the television show within THIS show) might be connected to his brother's disappearance. Still holding onto his glory days - more accurately a press pass - Jeff lies his way onto the set of Cult where he meets Skye, an ambitious researcher who thinks that the show's intense fans could be connected to Nate's disappearance. Skye manages to provide two new leads for Jeff: a long list of text messages from a mysterious woman named Meadow (see below for reference) and a hangout location for the obsessed and the geek chic. Fan Domain Cafe is a quaint little internet hotspot where fans have posted their thoughts and clues. Hidden beneath all the handwritten notes and posters is a photo of Nate in full Billy Grimm costume. New leads and a prime focus have pulled Jeff and Skye closer to finding Nate. Roleplaying is popular with fans of a show - they consider that Nate and Meadow, the woman from the photo, must be at the next meeting. Skye locates an address and the pair discover a group of fans running away from the motel in fear. Meadow, raving and hysterical at this point, is refusing any help and worries that "THEY" will be coming to get her. Not sure if it was irony but she recites that one line ("Well hey, these things just snap right off.") and boom: Meadow commits suicide by shooting herself in the head. Let's please rename these police officers as ANGRY COP #1 and Skeptic Cop #2 as neither believe Jeff yet again and Cop #1 proceeds to call him out on his past. Last time I check, the law was supposed to be blind, not judgmental. Skye is ready to end their new partnership but Jeff pulls her in with another discovery: he finds a CD disk hidden among Nate's private books. The 3D glasses from earlier unlock a code when - completely out of the blue - Nate calls and criticizes Jeff for using the disk. Who wouldn't search for a missing sibling?! There's blood all over the apartment and Jeff tries everything he can to locate him yet unlocking the disk was crossing the line. Nevertheless, these mysterious people now have Jeff's information and offered an ominous warning: "you're next!" Cult's show-within-a-show is revealed through cutaway scenes and television clips. Scenes that are primarily shown have a tie-in with the events of the current episode. 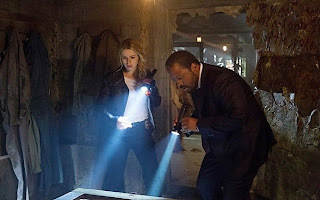 From what has been revealed so far: Kelly Collins (Alona Tal) is a former cult member that has joined the police force to investigate the mysterious actions of Billy Grimm (Robert Knepper), the cult's leader. 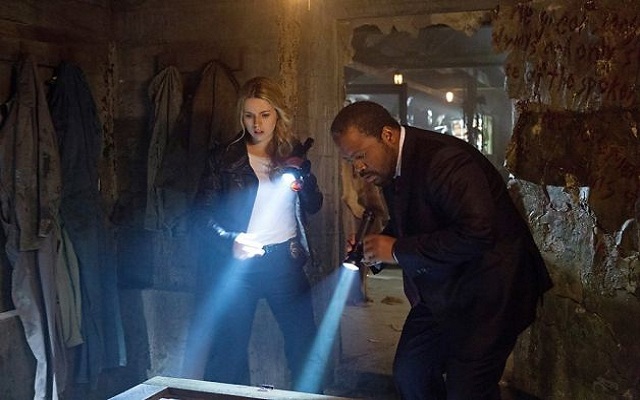 Kelly's sister Meadow and nephew were kidnapped by the group and Kelly is searching to find the truth - she believes that Grimm is involved somehow. Unfortunately for Kelly, Meadow's husband has died, her only source committed suicide in a fit of desperation and she has no clue if Meadow is still alive. Are you excited to see what's next for Cult? Will Skye and Jeff get closer to finding Nate? What is this mystery surrounding the creator of the show? Time to post in the comments and share your thoughts about this week's episode.